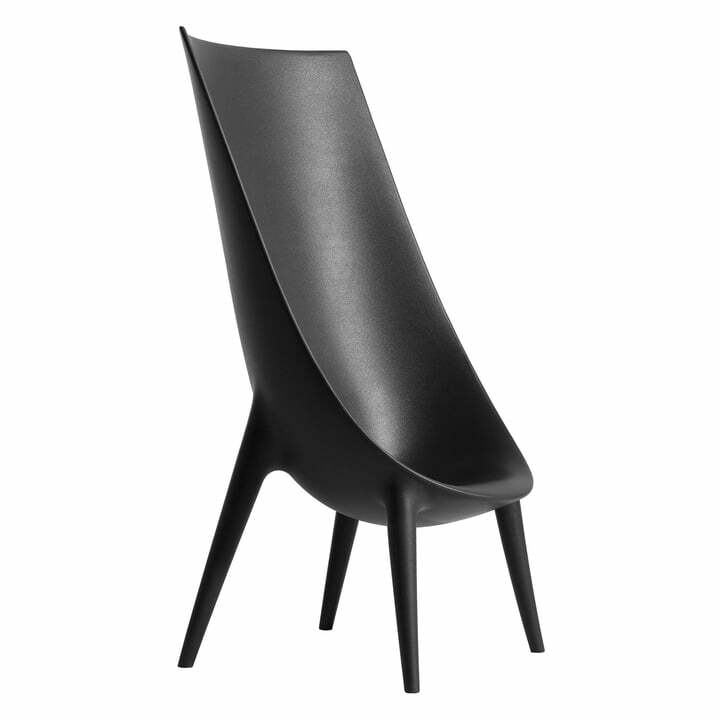 The high armchair Out / In was designed by Philippe Starck and Eugeni Quitllet for the Italian manufacturer Driade in 2009. 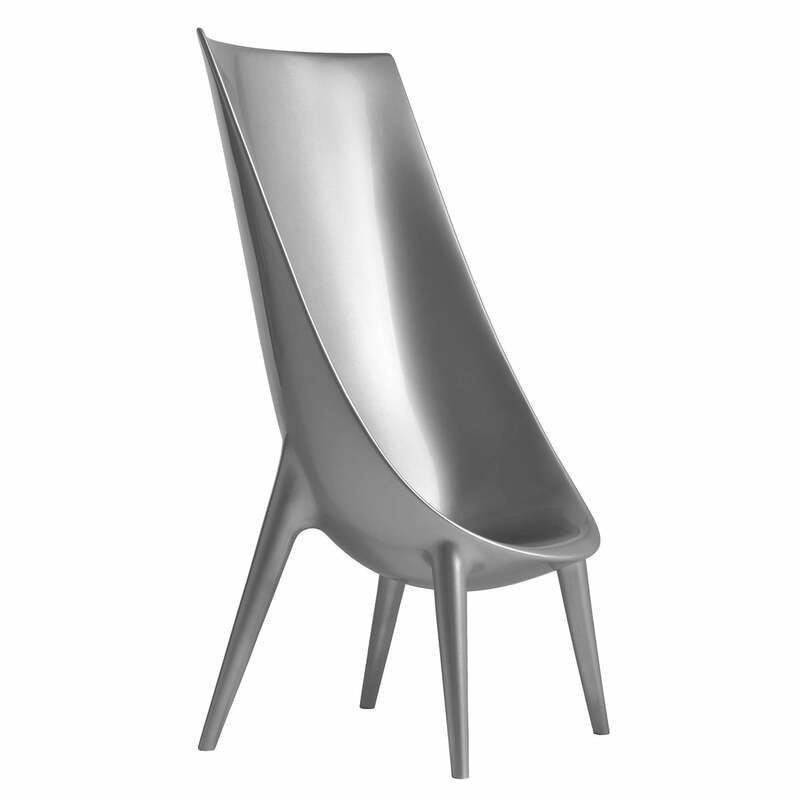 Starck and Quitllet are famous for their exceptional designs and the use of the most modern materials. The high armchair Out / In is also an instant eye-catcher with its unusual look. 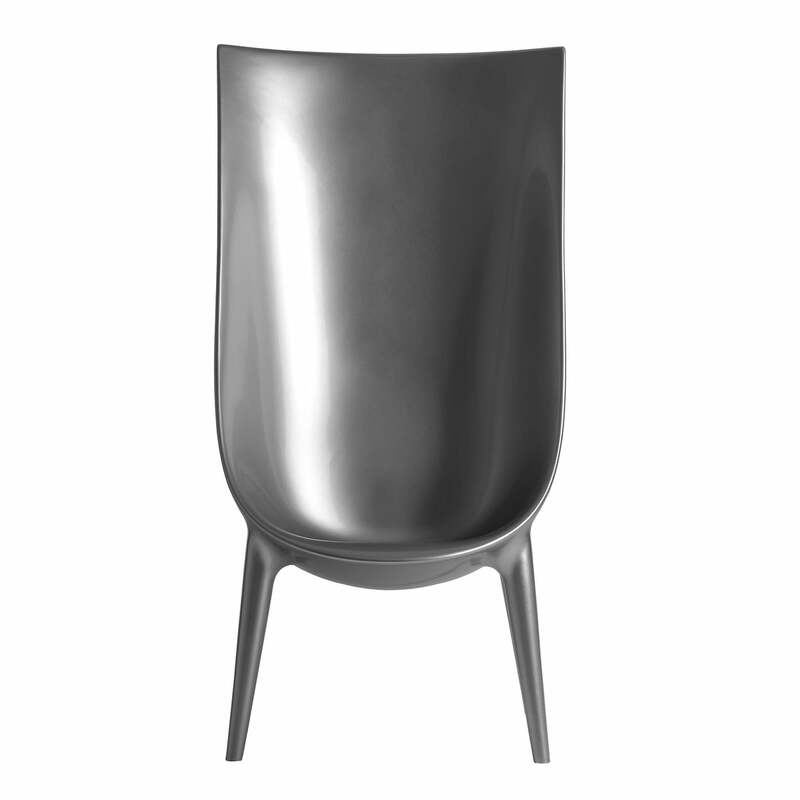 Seat and frame of the Out / In high chair through the curved shape give an organic impression. The high backrest breaks through this form and gives the armchair its unusual and abstract appearance. The design, optically as well as functionally connects seamlessly to the numerous classics from Philippe Starck and Eugeni Quitllet. Thanks to the weatherproof material, the armchair is suitable for use indoor and outdoor. The Italian manufacturer Driade produced the out / in high chair as part of his Driade store collection from the durable plastic polyethylene. 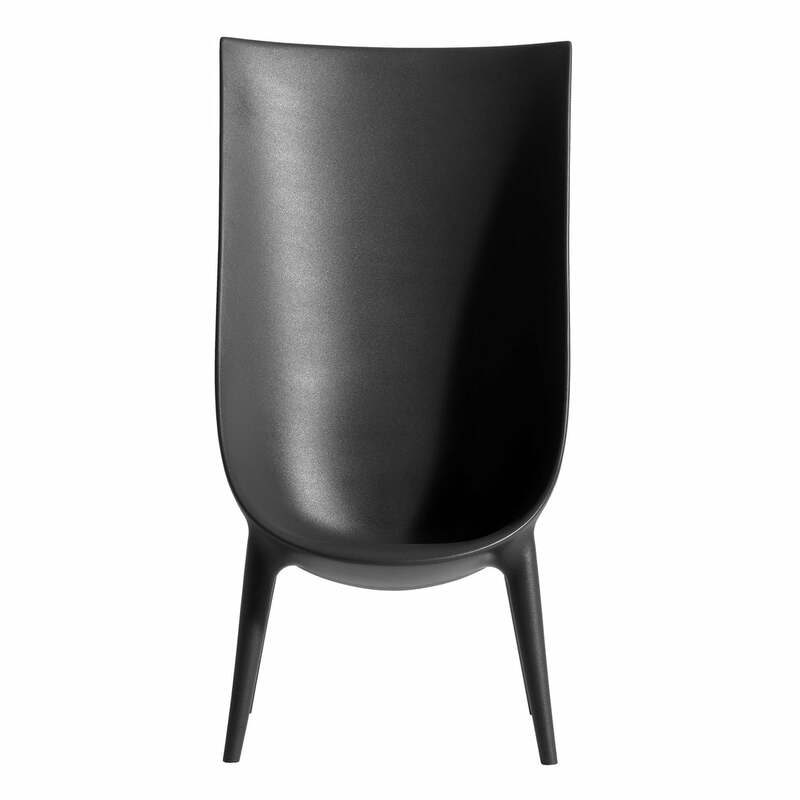 The armchair is available lacquered in the colours white, anthracite black and silver. The out / in design by Philippe Starck and Eugeni Quitllet graces alongside the High Chair also an armchair and a sofa.